In August 2018 we launched our "1 Donation - 1 Education" charity campaign that will raise money for underprivileged kids to ensure they can get an education in combination with playing sports. At College Scholarships USA we work with education through sports. In 2018 we are helping 275 student-athletes attend college in the USA while competing in college sports – the majority of our students embarking on their adventure in August 2018. For our students this is a magnificent opportunity and something they have earned through hard work and determination. Not all are that lucky and we want to help with that! Right to Play was started in 2000 by Olympic champion from Norway, Johann Olav Koss. It is a global organization that use play to educate and empower children and youth to overcome the effects of poverty, conflict and disease in disadvantaged communities. In January 2018, we became an official national supporter of Right to Play Norway and we are raising funds so that more underprivileged children can get an education! More than 300 professional and Olympic athletes from 40 countries are a part of Right to Play as “Athlete Ambassadors”. They’ve joined Right to Play because they know firsthand the positive impact sport and play can have. Scandinavian sports heroes such as Mats Zuccarello, Aksel Lund Svindal, Suzann Pettersen and Anja Pärsson are contributing. So are world-renowned athletes like Mark Cavendish, Petra Kvitova, Martina Hingis, Nico Hülkenberg and many more. Through our “1 Donation – 1 Education” campaign we are giving all our student-athletes, past and present in the US college system, and the people in their network the opportunity to become “Athlete Ambassadors” and help a child get a scholarship to study and play. Right to Play estimates that it costs 250 NOK / 275 SEK / 200 DKK / 25 GBP / 30 USD to give one child an education for an entire year through their program. We call this a “Scholarship”. DONATE A SCHOLARSHIP HERE. For a relatively small donation of one “Scholarship” you can make the biggest difference for children in Mozambique, Tanzania, Uganda and the Middle East. 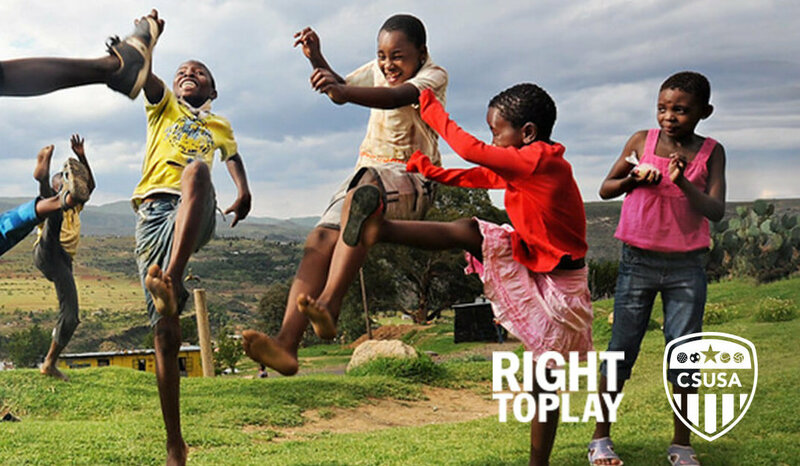 Of Right to Play’s total revenue, 91% goes directly to their program. We hope you join us and support the children who need it most! – Mats Zuccarello (NY Rangers) after visiting a “Right to Play school” in Tanzania.